Dragons Den is once more gracing our screens on Sunday evenings, this time with three new dragons - Nick Jenkins, Sarah Willingham and Touker Suleyman - joining the two remaining original dragons Deborah Meaden and Peter Jones. The aim is for entrepreneurs to pitch their business idea to the dragons, in the hope of gaining support and funding for small business. This product is the brainchild of hair colour technician Shaun Pulfrey who came up with the idea to combine the benefits of a comb and a brush. 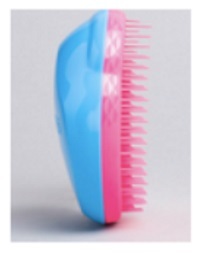 It was not a hit in the Den - the Dragons declaring it to be a ‘hair-brained idea’ - but in the ten months following its rejection the Tangle Teezer turned over £800,000, made a profit of £200,000, and then Pulfrey made a lucrative deal with Boots Pharmacy. The product has continued to go from strength to strength. Lesson to be learned: Don’t give up! If you believe in your product keep trying despite setbacks. Levi Roots appeared in the Den 2007, and did part of his pitch in song. His sauce was supposedly a family product, though this was later disputed by his ex-partner. However in the Den, Roots gained a £50,000 investment from Peter Jones and Richard Farleigh in return for 40% of his business. 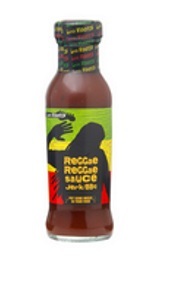 The Reggae Reggae Sauce and other Caribbean inspired products - coupled with an effective marketing strategy based on “putting music in your food” - ensured the success of his business. Lesson to be learned: Don’t be afraid to try something different. Levi Roots effectively “sang for his supper” - and it worked! 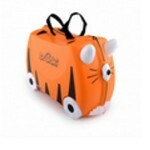 The inventive childrens hand-luggage - described as “a suitcase toddlers can pack, sit on and ride” - from designer Rob Law was rejected in the Den. Even worse, one of the dragons - Theo Paphitis - broke the strap of the suitcase. However, with a great deal of marketing effort, five years later in 2011, over 20% of British 3-6 year olds owned a Trunki and over 1.8 million Trunkis have been sold across 97 countries worldwide. The business now employs over 50 people, and has a turnover of around £7 million each year. Lesson to be learned: Shout out! Use PR, social media and digital marketing to get your message out there until people finally start to take notice. The Magic Whiteboard was hailed by Theo Paphitis as a “rare genuine success story”. The pitch to the dragons was done by married couple Neil and Laura Westwood. Their product was inspired by Neil when he worked as a trainer for the NHS and became fed up carrying a flipchart stand around the wards in the hospital. 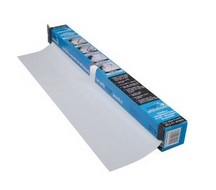 He realised the need for a portable lightweight solution and developed The Magic Whiteboard - a whiteboard on a roll. Neil and Laura left the Den with a £100,000 investment after Deborah Meadon and Theo Paphitis secured 40% of the business. Since then Magic Whiteboard has gone from strength to strength, listing a number of products including Magic Blackout Blinds. Lesson to be learned: Spot the need! Find a gap in the market then develop a product or service to fill it. Skinny Tan is a fake tanner that claims not just to give you a bronze glow but also to reduce the visible appearance of cellulite. Created in Australia by Louise Ferguson and Kate Cotton - both originally from the UK - it created a storm in the Den! A bidding war ensued, with every Dragon offering them the requested £60,000. In the end, the girls accepted a joint offer from Kelly Hoppen and Piers Linney. During the pitch, Peter Jones challenged Louise about the sense of investing in an Australian company to which her reply was “We’re from the UK, and we’re all set to come back and live here if we need to.” This hadn’t been part of her life plan but she was willing to uprooted her family to move to Kent to manage the UK retail launch. 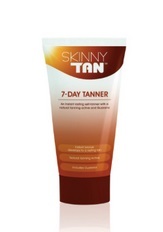 Since then, Skinny Tan has gone from strength to strength and looks set for a glowing future! Lesson to be learned: Seize the Day! Would you be prepared to make a dramatic change to your life plan in order for your business to succeed? We hope that these success stories have inspired you! The lessons learned are useful to us all as small business owners. If you need funding for your business or a small business loan but don’t intend to go on Dragons Den to procure it then do get in touch with us at Fair Business Loans. Our process is much friendlier and we would love to help you!